Bookish Lifestyle: Check out my Society 6 store full of BOOKISH goodies and win some! 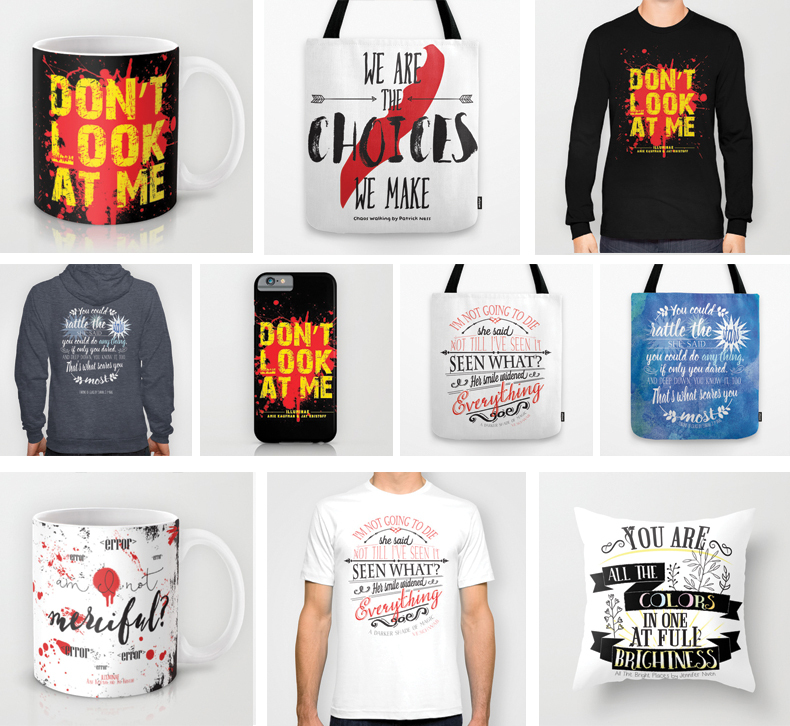 Check out my Society 6 store full of BOOKISH goodies and win some! Hi guys! 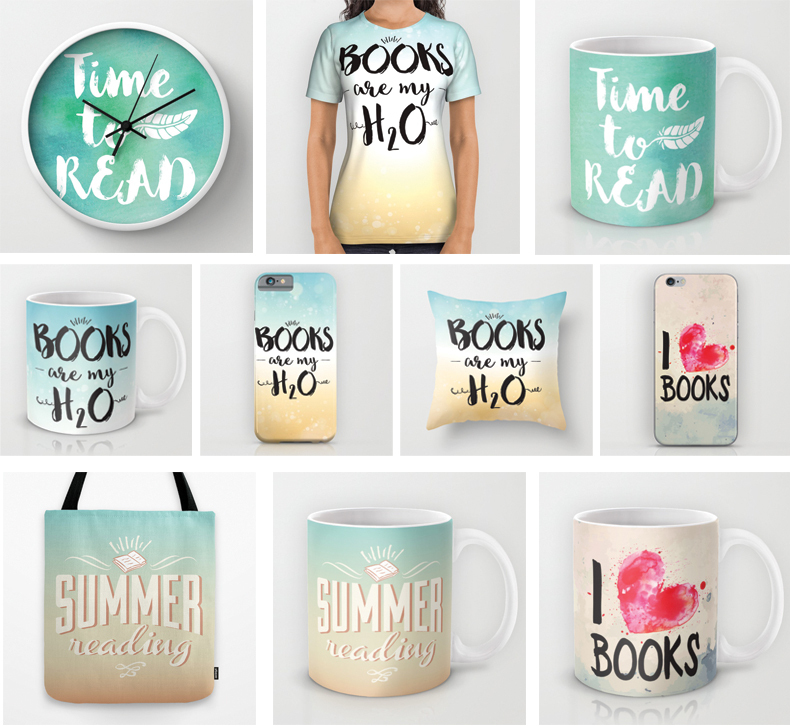 So I recently started adding some of my Book-related designs to my society 6 store. 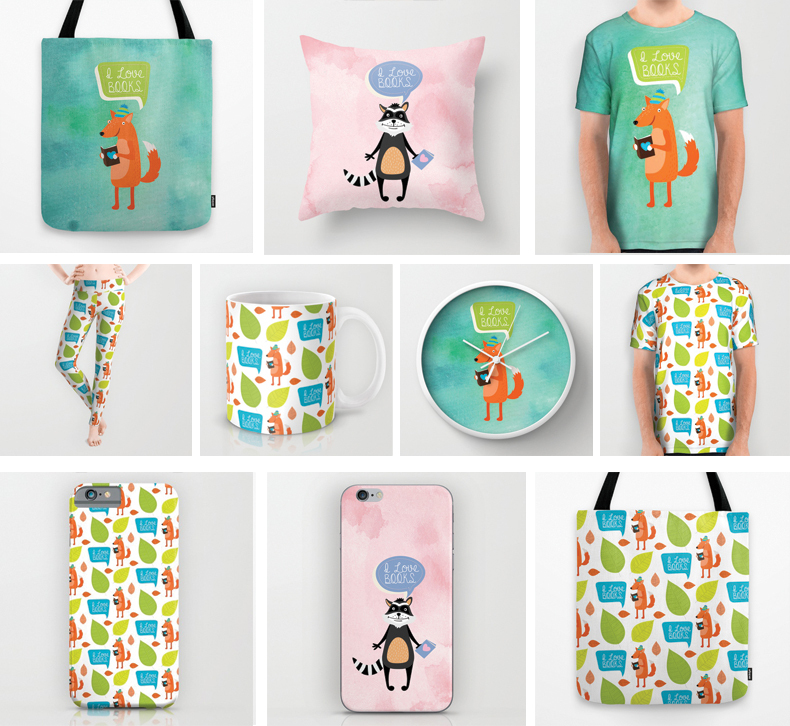 My head is full of ideas but I have no way to manufacture all the things, so I decided to join Society 6 and share my designs on there! I would be thrilled and honored if you'd be so kind as to check out my store and like some of the items published on there - I am only just starting and I'm adding new designs every day, so be sure to follow me on there to always be up to date with my new designs!! For now, I am focusing on three types of designs: general bookish goodies (I Love Books etc), Woodland Creatures Love Books (cute animals with books!) and bookish quotes (check out the merch for Illuminae, Jay and Amie both got some for themselves and we will hopefully be able to give some away when Illuminae goes on blog tour, too!). This open WORLD WIDE because Society 6 ships pretty much everywhere, yay!! !